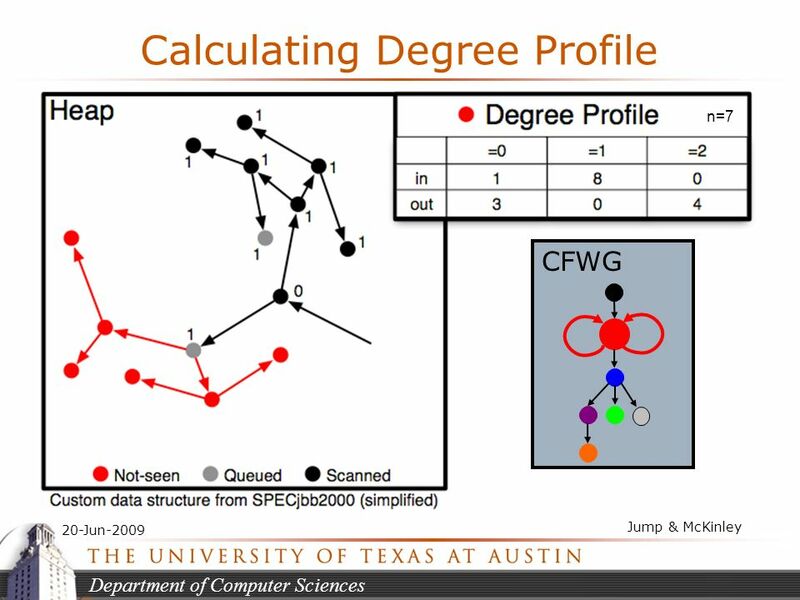 Department of Computer Sciences Dynamic Shape Analysis via Degree Metrics Maria Jump & Kathryn S. McKinley Department of Computer Sciences The University. 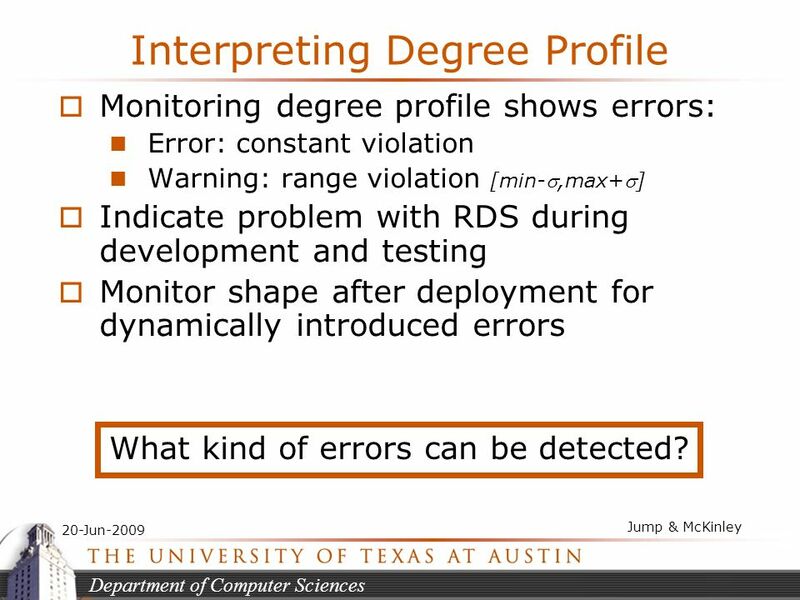 49 Department of Computer Sciences 20-Jun-2009 Jump & McKinley Interpreting Degree Profile Monitoring degree profile shows errors: Error: constant violation Warning: range violation [min-,max+] Indicate problem with RDS during development and testing Monitor shape after deployment for dynamically introduced errors What kind of errors can be detected? 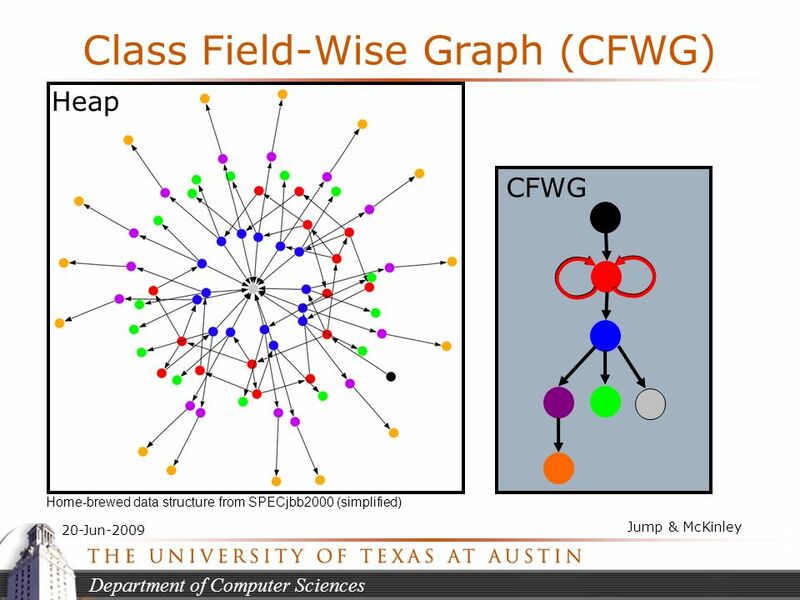 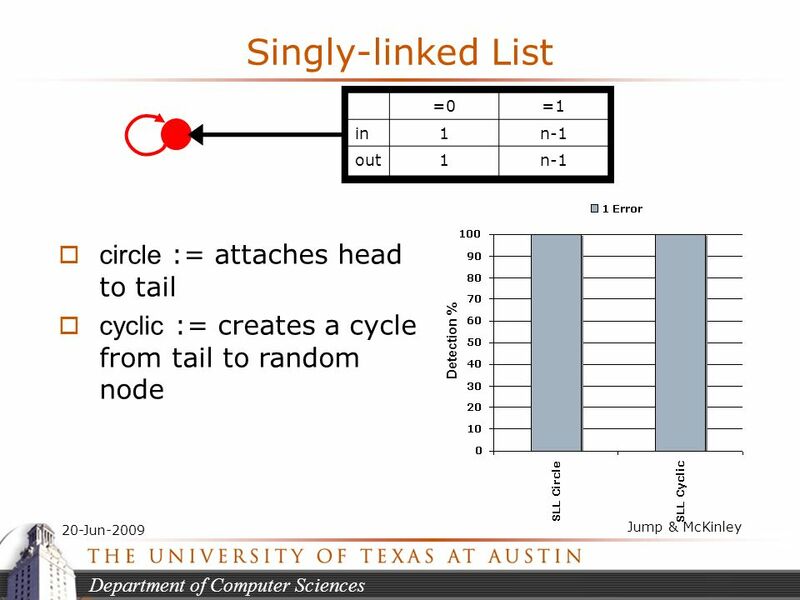 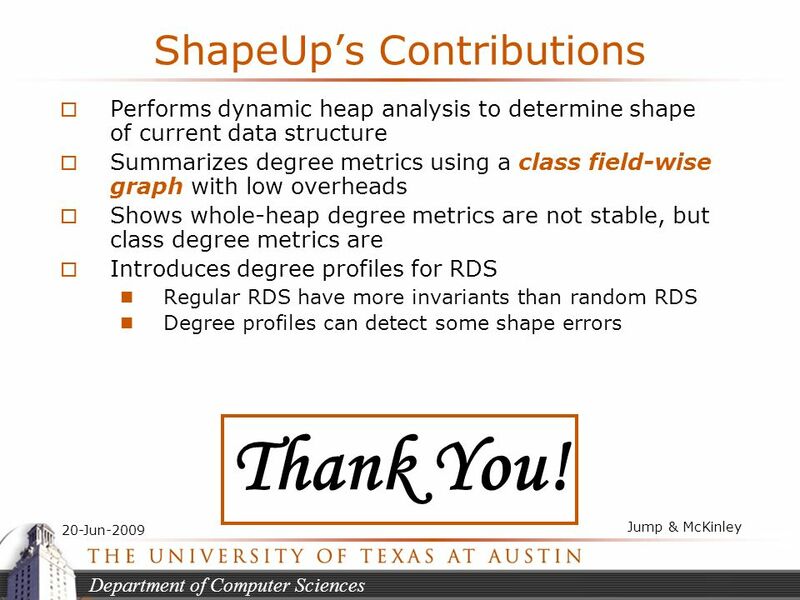 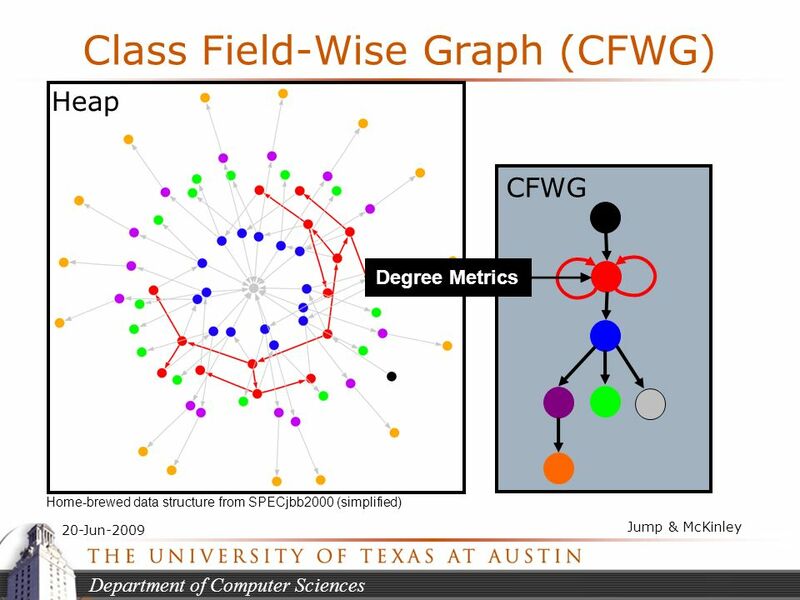 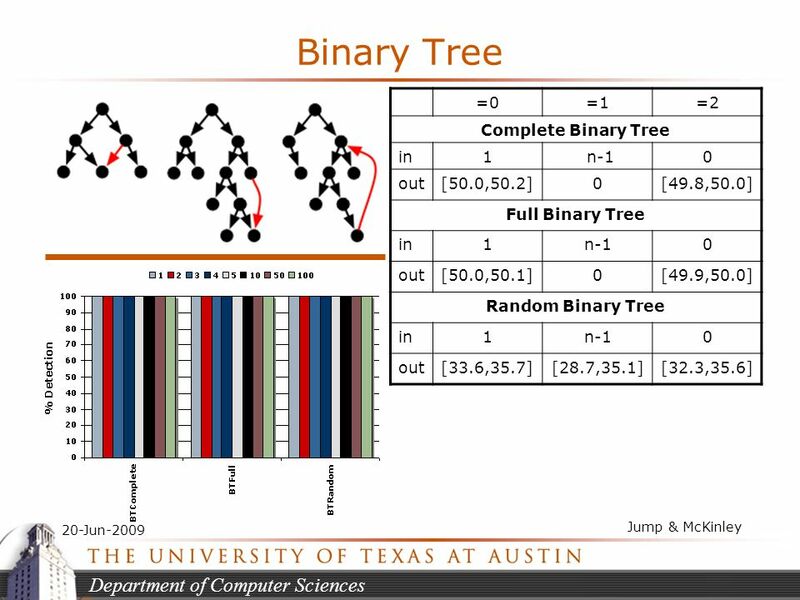 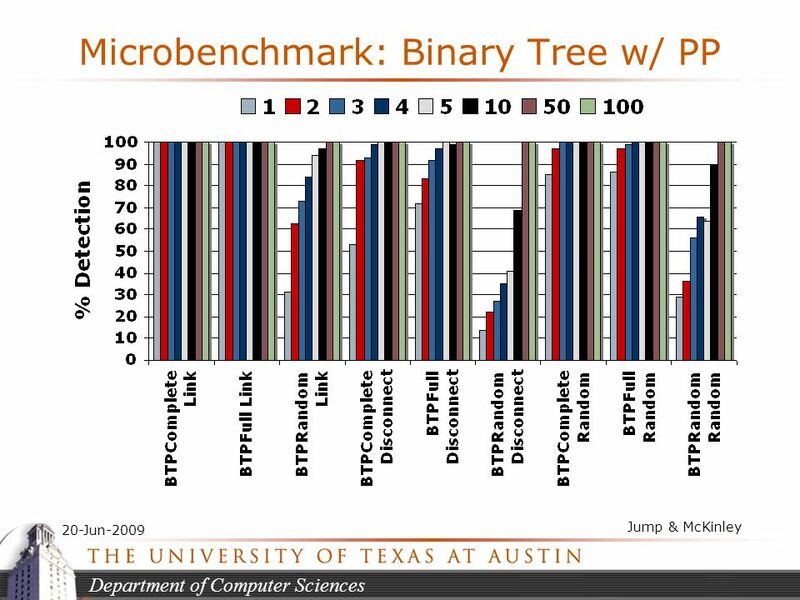 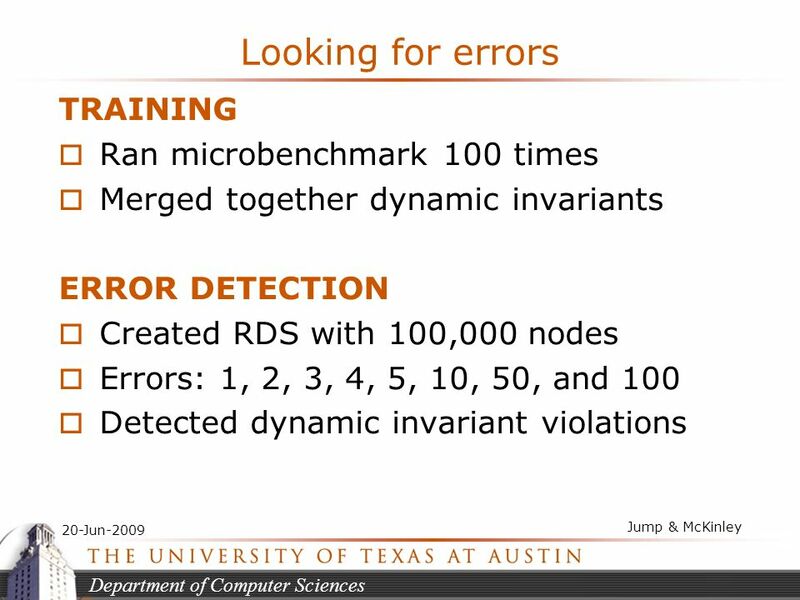 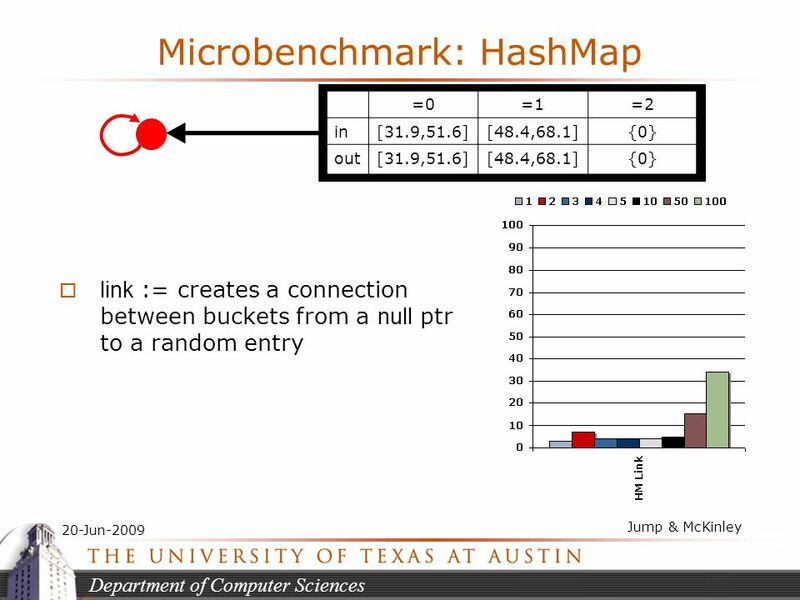 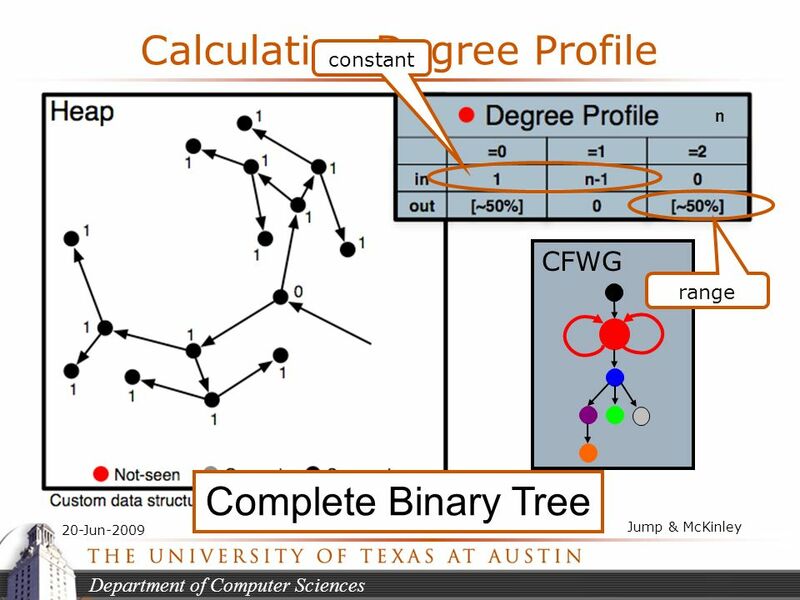 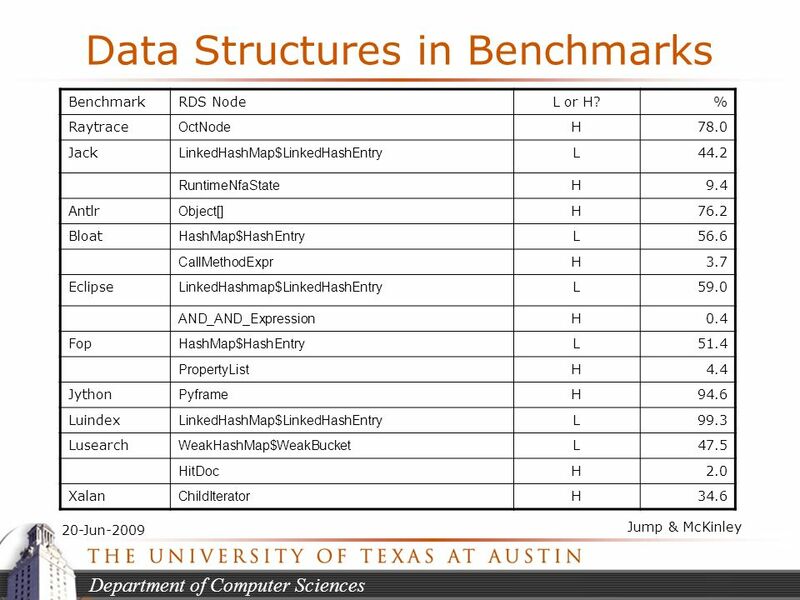 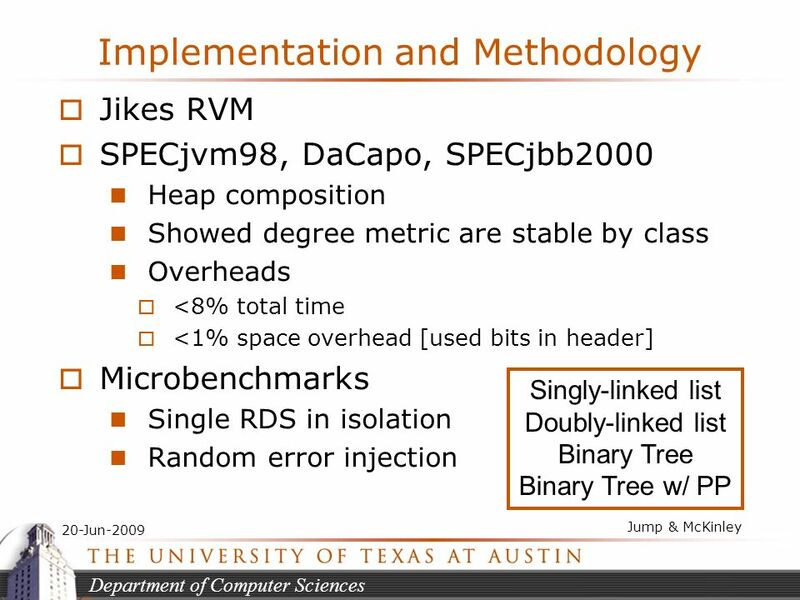 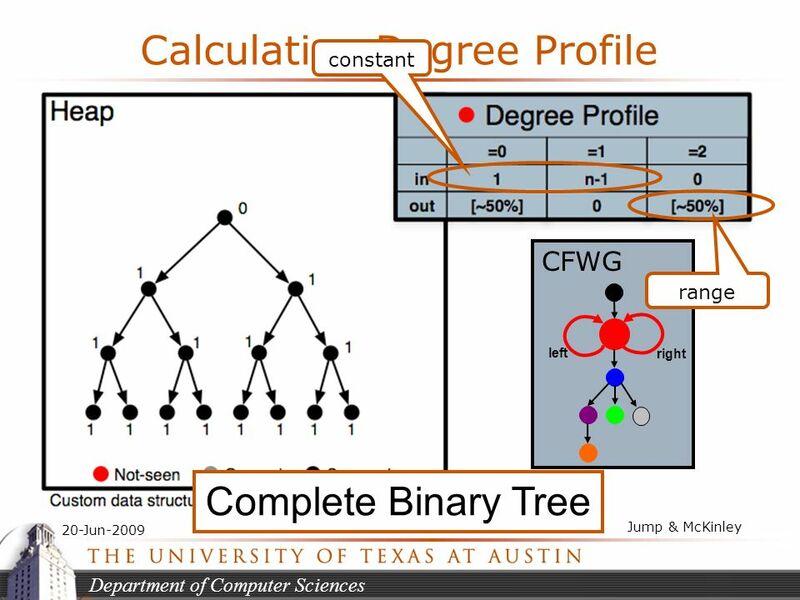 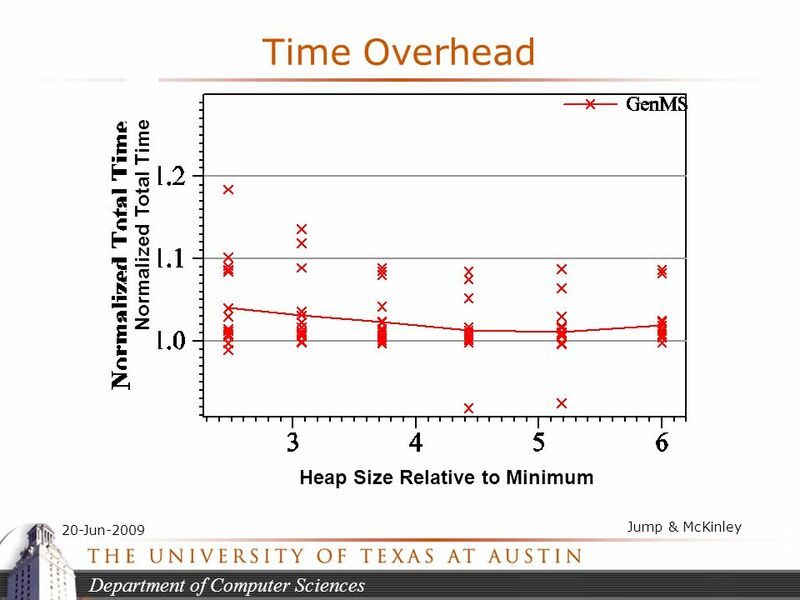 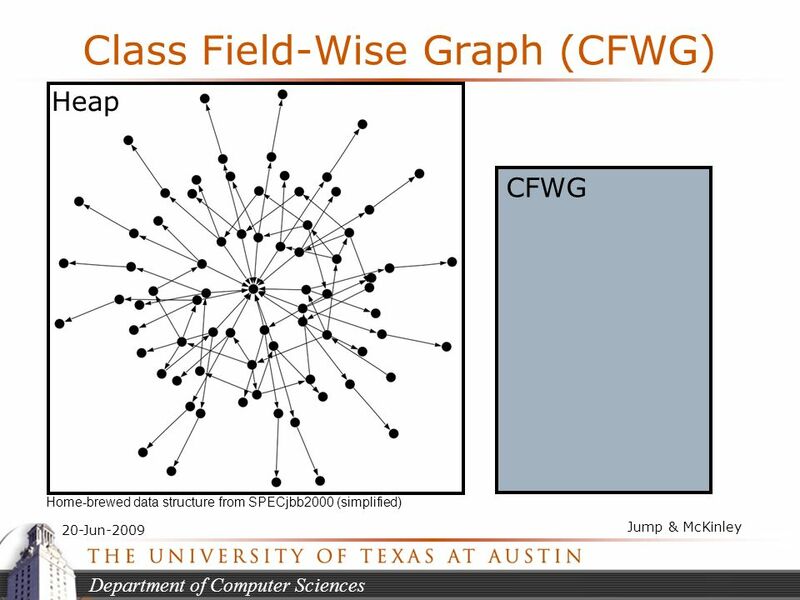 58 Department of Computer Sciences 20-Jun-2009 Jump & McKinley ShapeUps Contributions Performs dynamic heap analysis to determine shape of current data structure Summarizes degree metrics using a class field-wise graph with low overheads Shows whole-heap degree metrics are not stable, but class degree metrics are Introduces degree profiles for RDS Regular RDS have more invariants than random RDS Degree profiles can detect some shape errors Thank You! 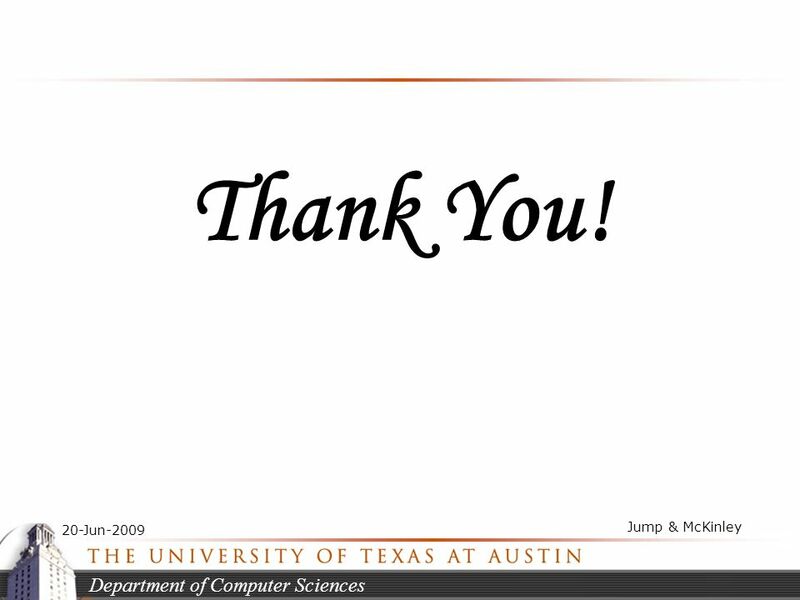 59 Department of Computer Sciences 20-Jun-2009 Jump & McKinley Thank You! 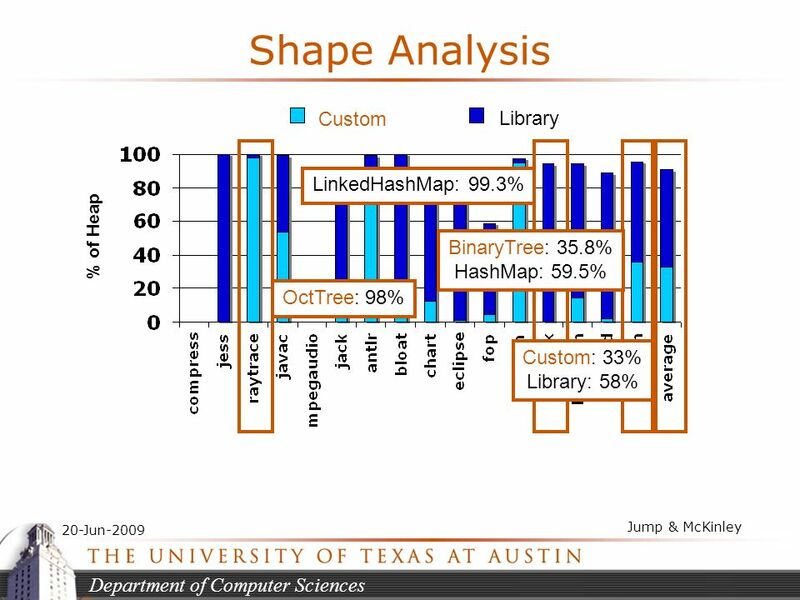 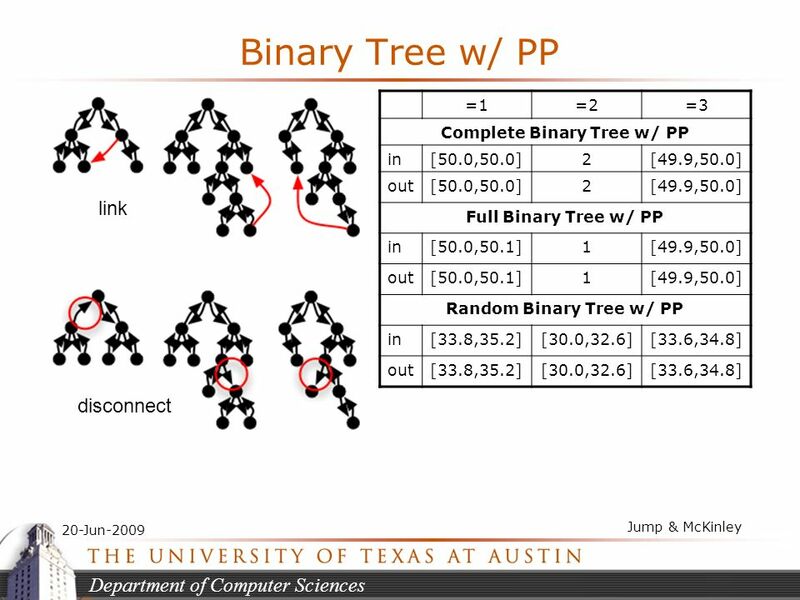 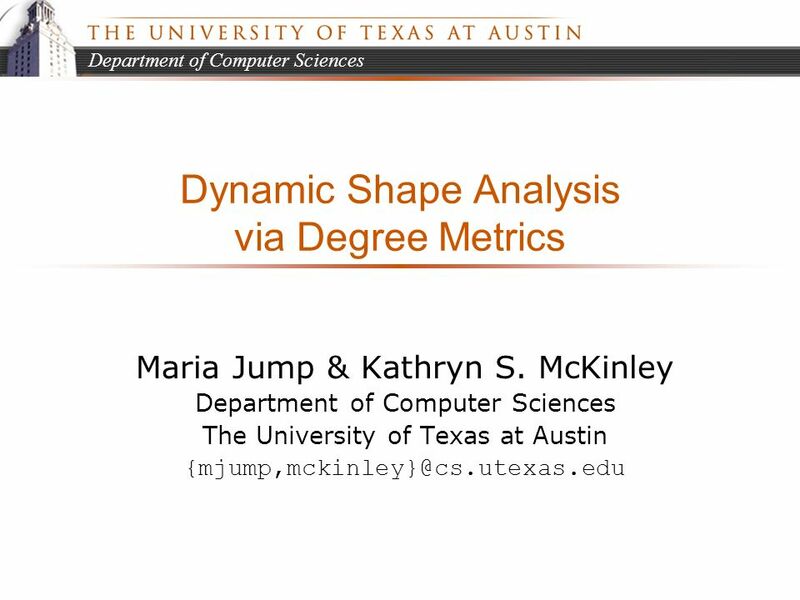 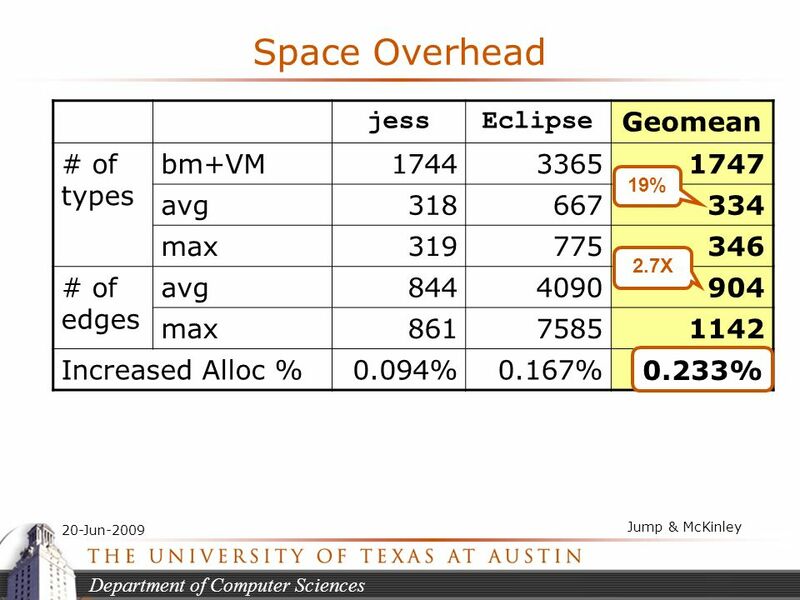 Download ppt "Department of Computer Sciences Dynamic Shape Analysis via Degree Metrics Maria Jump & Kathryn S. McKinley Department of Computer Sciences The University." 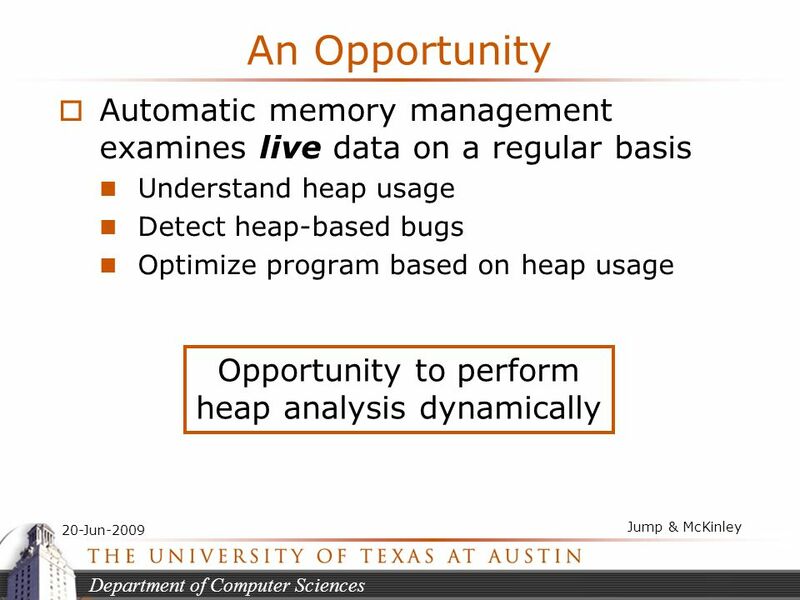 Lab 4: Sensors for Monitoring Java Applications Omar Badran, Daniel Moyer, Sadia Afroz. 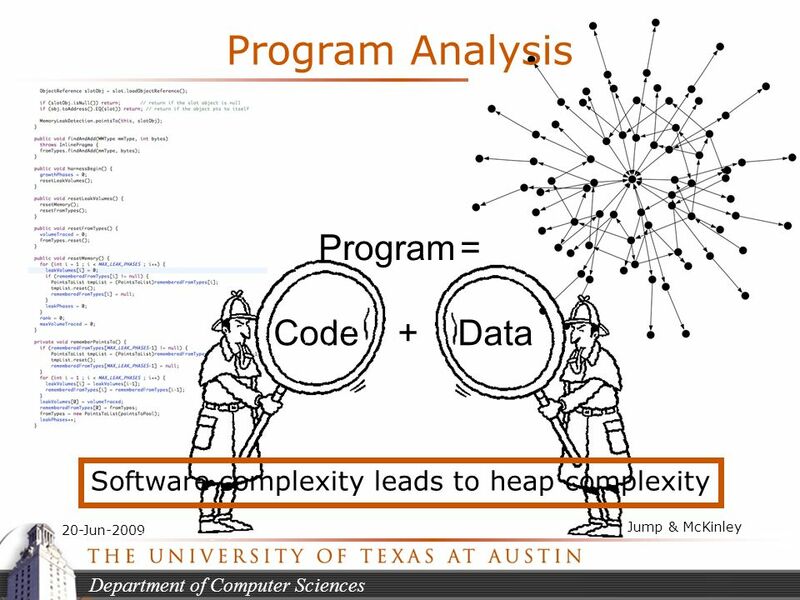 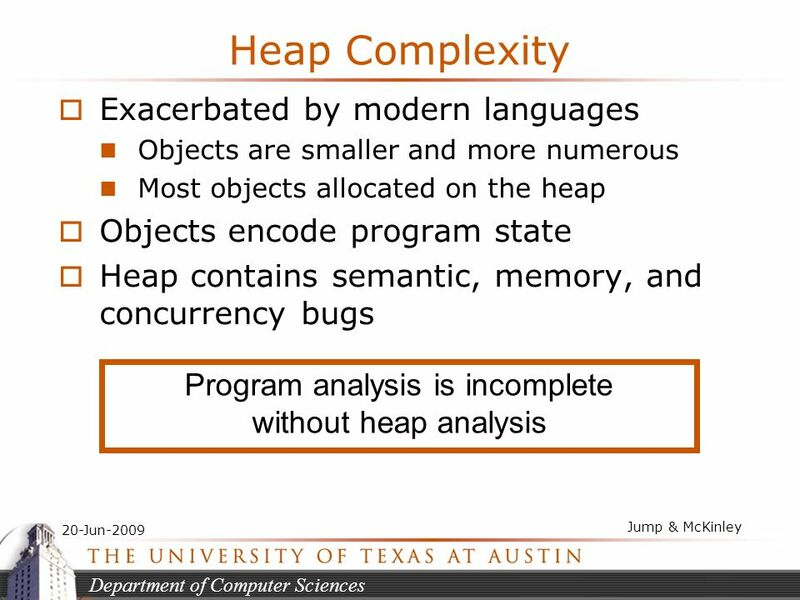 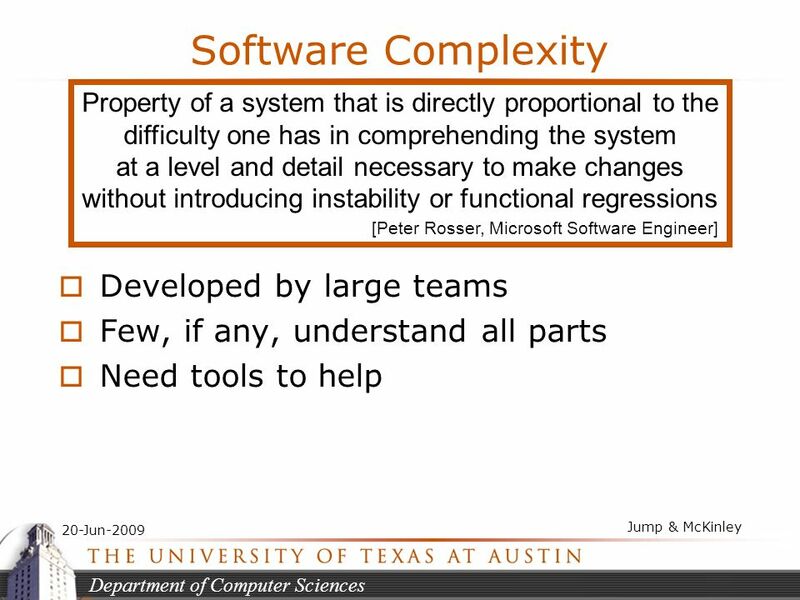 1 Parametric Heap Usage Analysis for Functional Programs Leena Unnikrishnan Scott D. Stoller. 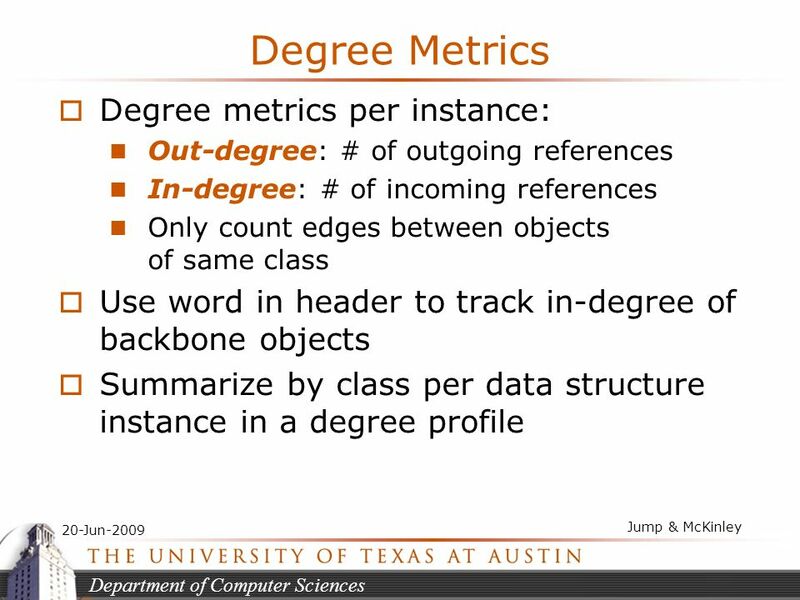 A Taste of Visual Studio 2005 David Grey. 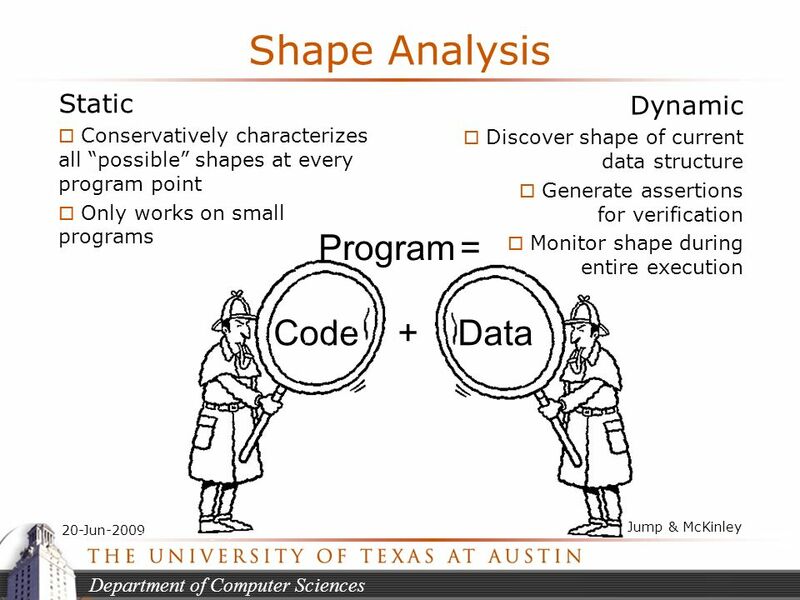 Introduction In this session we will introduce Visual Studio 2005 and its features and examine those features. 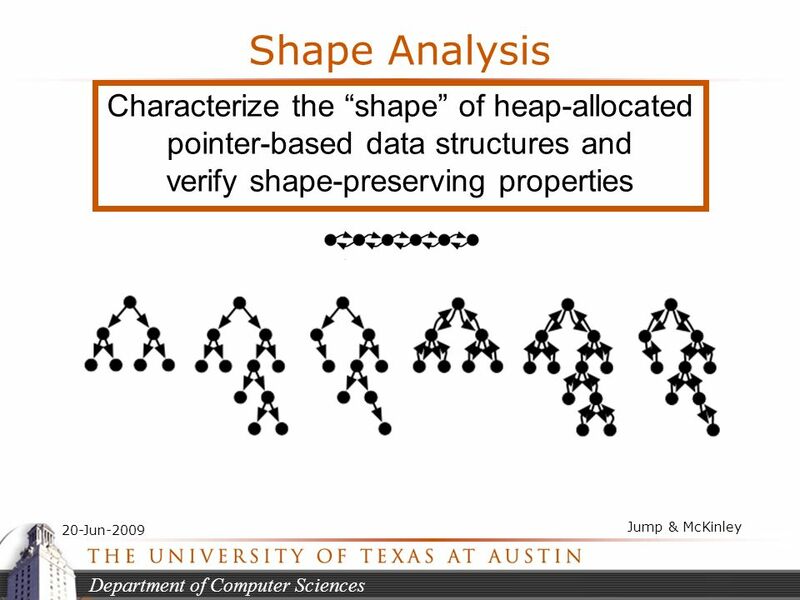 Using Checkers for End-User Shape Analysis National Taiwan University – August 11, 2009 Bor-Yuh Evan Chang 張博聿 University of Colorado, Boulder If some. 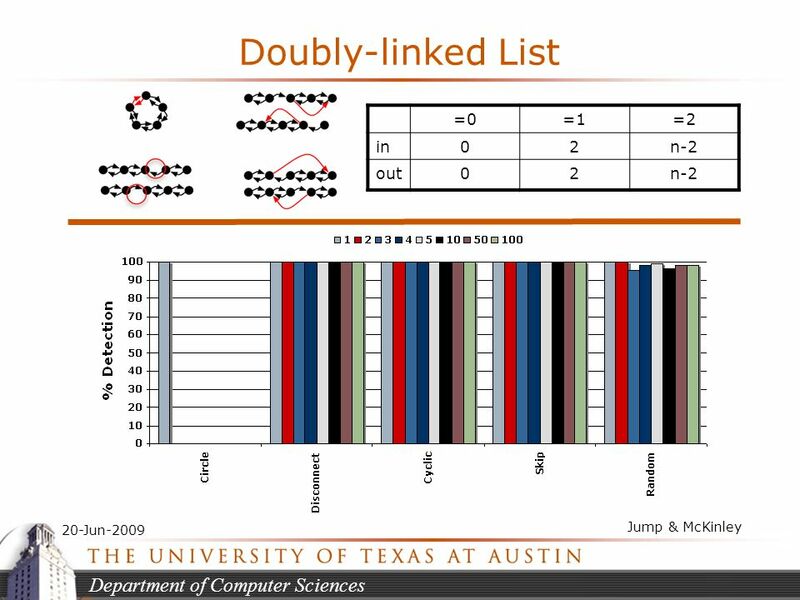 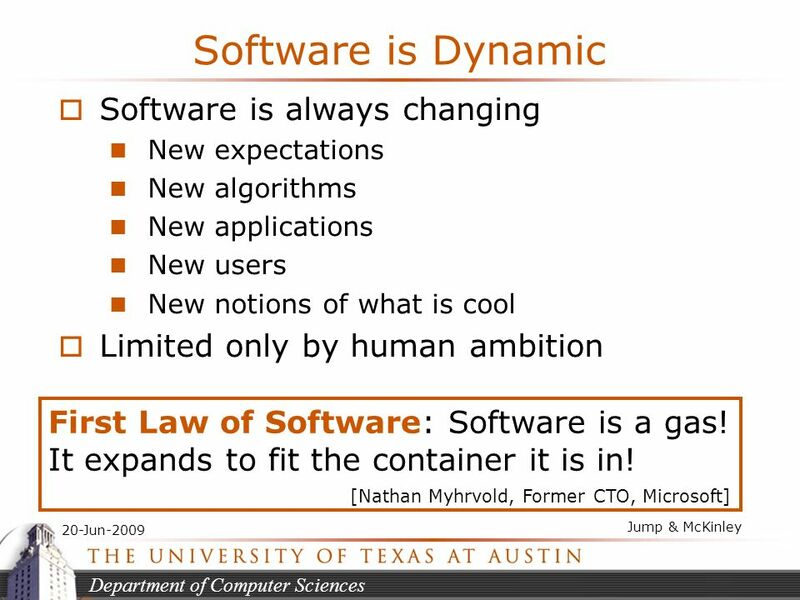 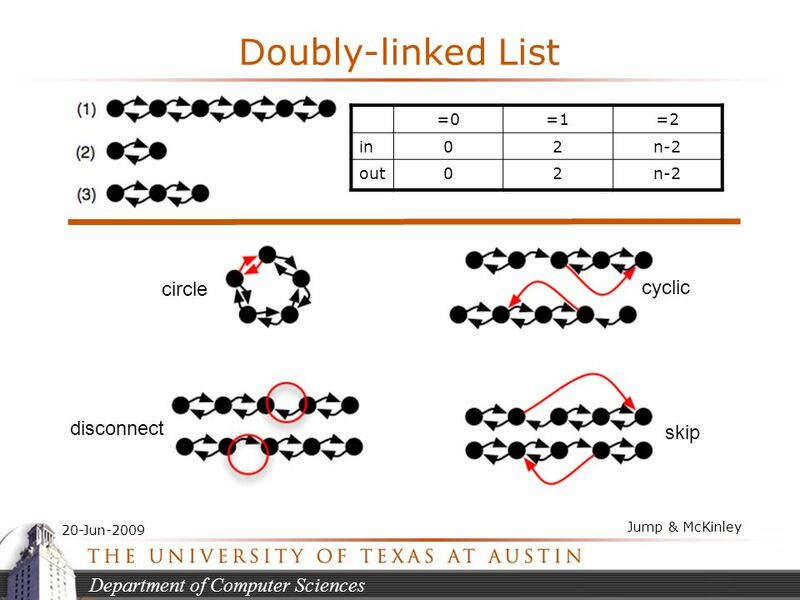 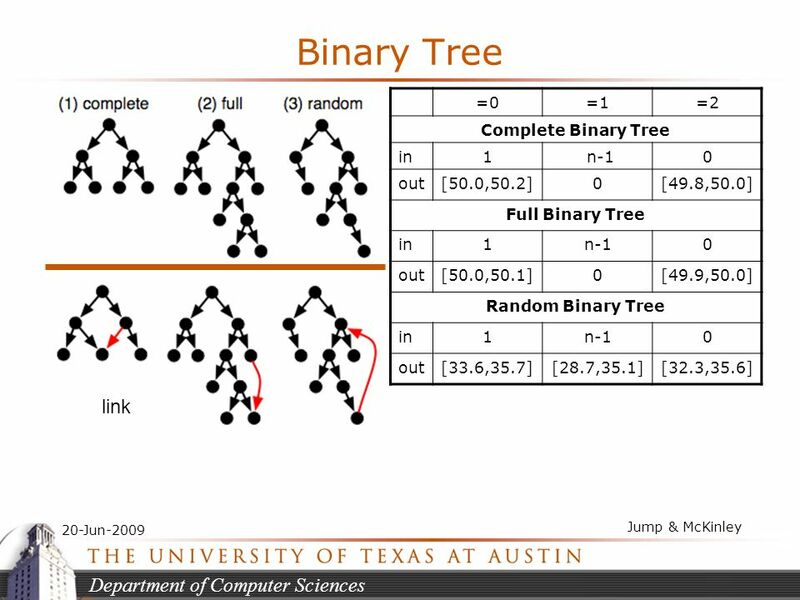 David Luebke 1 6/1/2014 CS 332: Algorithms Medians and Order Statistics Structures for Dynamic Sets.